← The Ongoing Civil War in Iraq: Mission Accomplished? The problem with religion goes much deeper than this limited examination of its illegitimate role in our military. All religions, with the possible exception of Buddhism, are deeply flawed and the level of belief in myth is a bane and an impediment to mankind’s search for civilized comity. Any religion that relies on its adherents to worship a being that they cannot see, feel, or touch, and are admonished to prostrate themselves mentally before the religion’s current earthly representatives is counter to rational thinking. The argument that religious apologists give for it is that religion has given humankind a moral and ethical compass. That is like saying that ignorance of cause and effect shows common sense. Let’s look around the world and see what three big religions have brought “morally and ethically” to the world in our time. Let’s first take a look at the Christian West’s favorite enemy, Moslems. As our recent great Christian President George Bush said as he launched our country on the road to perpetual war he referred to it a a new “Crusade”. That was really Christian of him. For their part the Moslems religion didn’t falter in showing their morality by spewing out the Taliban who enjoyed stoning women to death, the Saudis for enshrining beheading into the law of the land, the Boko Harum who just slaughtered 124 Christian college students in Kenya, and ISIS in Iraq, and on and on.Sunni Moslems slaughtering Shia and vise versa. All in the name of their religion. Then we have the Christian West, with smug Protestants and Catholics leading the countries that produced the carnage of Hitler’s genocide of Jews and the weak. That war and the one that preceded it produced a Middle East that was gerrymandered up to serve Western Christian interests with little regard for its inhabitants and putting in control medieval despots who would serve up Islam to keep their citizens as virtual serfs. And we are surprised that these serfs despise the West? Then we have Israel. The “Jewish” state that uses the Holocaust as a rationale for violently suppressing the Palestinian people whose lands they have been expanding into for decades. Heedless of the needs and misery that they have imposed on the Palestinians, who indeed are Semites just like the majority of Israelis they continue to illegally occupy Palestinian lands and impose as harsh restrictions and arbitrary rule as the Germans did on the Jews. They have stopped short of genocide but raw brutality persists. As a Jew the tradition I grew up in was one of tolerance and empathy for the poor and downtrodden. I do not recognize these Israeli and American Jews who accept the excuse that brutal suppression is security. I have seen that just as in our country, when security becomes the religion of the state, the citizens are the first to feel the yoke of unfeeling power fall on their backs. To return to Islam again, the third great religion that is supposed to bring morality and ethics to the world. Islam is no different than Judaism and Christianity in not being able to even bring morality and love within their own religion. Just like the Jews and the schism between the”ulta orthodox” and the “reform”, or the disdain of the ‘high’ Christian churches for the Catholics and the benighted “fundamentalists, the Moslems resort to actual murder between Shia and Sunni sects. We have Saudi Arabia, who the US holds close to our chest, who is the seat of a violent and expansionist Wahabi sect of Islam that treats women like dirt and beheads people for minor crimes. Now back here at home, in that “exceptional ” USA Christianity has produced our own home bred fanatics with their own brand of morality and ethics. In the last 25 years we have seen the havoc that their brand of morality has done to women, workers, the poor, etc. And not the least to our great U.S. Constitution. So many horrible crimes have been committed in the name of religion — that is true. But so many good and decent things have also been done in the name of religion. All ideologies, secular as well as religious, are dangerous. Look at Nazism — which Hitler hoped would eventually replace Christianity. But how can you live without some kind of system of belief? Anarchists and atheists unite? You can be a Muslim, a Christian, a Jew and still be “rational.” Indeed, religious belief is based in large part on human reason. But it is also based on faith, or the idea that not all things can be reduced to reason, that not everything is explicable by rationality. The problem is not the irrationality of religion; the problem is humans being all too human, being twisted by greed and hatred and fear and similar negative forces. Religious beliefs can feed those negative forces, but they can also extinguish them. Blaming religion for man’s awfulness is like blaming science for man-made global warming. The problem is not religion or science; the problem is us. Because the basis of most religions is “faith” rather than “reason” the byproduct of religion will inevitably lead to fanaticism. We are not blaming all the evil in the world to religion but we have enough without adding that due to religion to the mix. Our “cup runneth over” with that contributed by religion. The difficulty is when religion insists on dictating to government. 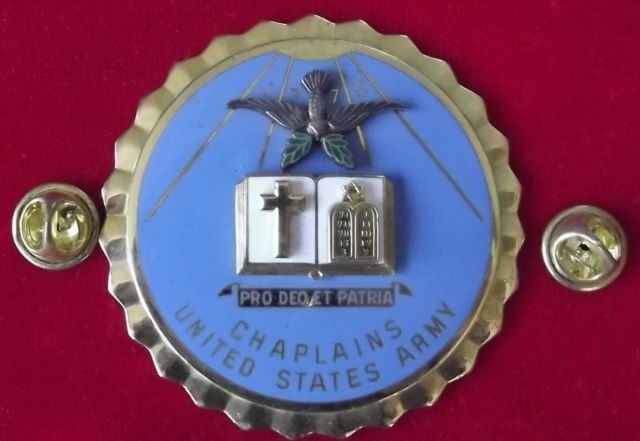 I detest and totally oppose the presence of chaplains of any denomination in the military, blessing each and every ginned-up US war of aggression. Period. No exceptions. Col. Astore, you really missed the boat on this topic. Re-read Mark Twain’s “The War Prayer”!! In man’s early ages, yes, inventing mythologies to explain our existence involved reasoning. After the passage of millennia (! ), don’t you think the human race should have gotten beyond this stuff and nonsense??? Obviously, it SHOULD have. No human should be the least bit proud that we have not. I am familiar with Twain’s “War Prayer,” Greg. And I have no affection for the “Sky Pilots” who bless every war that the U.S. government pursues. But I’ve personally known several chaplains. They were men of integrity who spoke their conscience while ministering to the spiritual needs of their troops. Can’t help but think of Joseph Heller’s “Catch-22” when considering the word military used to define one variety of spiritual leader or chaplain. An analogous situation occurred in this neck of the woods when a maximum security prison began its operation by holding a “Grand Opening”, complete with hot dogs and sodas for the kids. The near total absence of the world’s spiritual community as wars continue to destroy the lives of so many innocent men, women and children causes one to seriously wonder. Catastrophic societal emergencies causing immeasurable suffering persist, adding far too many to the ranks of “the least among you”, as the Earth’s leaders – political, religious, military, economic – focus elsewhere and look away. The 3 Abrahamic religions are at war amongst themselves. Really bad parenting model, Abraham. Using our blood and treasure. The problem is not with the Chaplain’s Corps, it is with the officers who allow the Corps and religion undue influence. It corrupts the chain of command by inserting religious dogma into the authority of rank. I was active duty line officer from 76 – 94. the growth of religious influence was highly destructive to morale,especially among female soldiers. The Abrahamic conceit of social structure has trumped the ability of rank to command. does faith trump orders? Ask Sgt. York. Robyn.. You make a tantalizing comment that the “religious influence was highly destructive to morale especially among female soldiers.” Could you explain that?